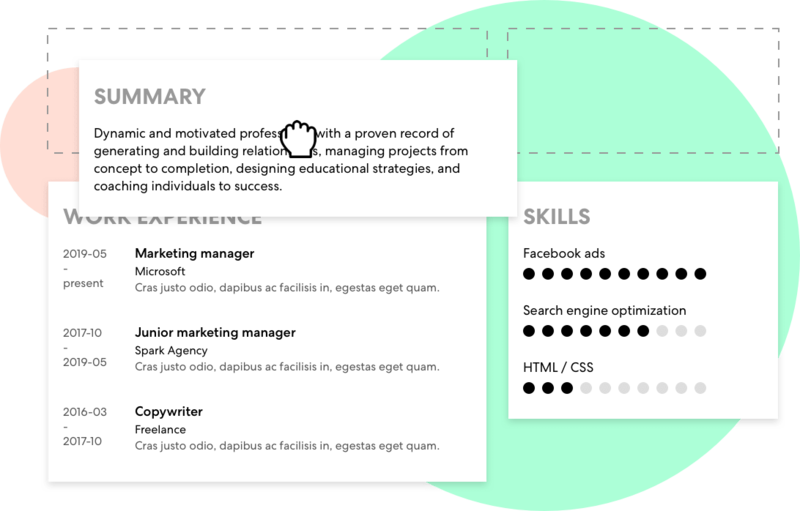 Build a beautiful resume in minutes to get your dream job. 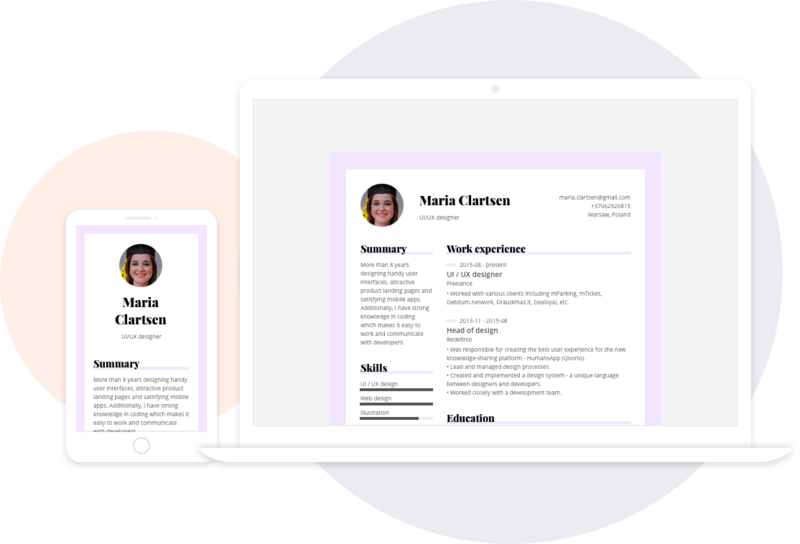 Whether you need clean professional looking or colorful creative resume, we’ve got you covered. Export your resume as PDF or use unique URL to send it via email or share in social networks. These times, when mobile browsing overtakes desktop browsing, it is essential that every resume would be mobile responsive. Every one of these was made with Redefinio builder.